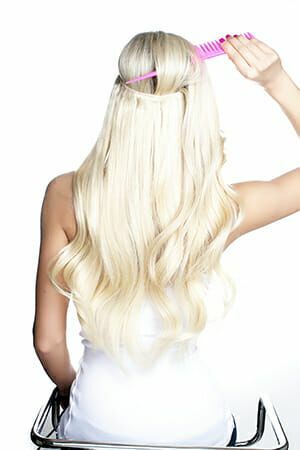 How Does Hidden Crown Extensions Stay In Place? Hidden Crown Hair Extensions is always here to answer ALL of your questions! Here is a common Hidden Crown Q&A: How does the Hidden Crown stay in place?! How to Put On – Easy as 1, 2, 3!